The Zeonic Geofront: Weth Meh Black Hole!!! 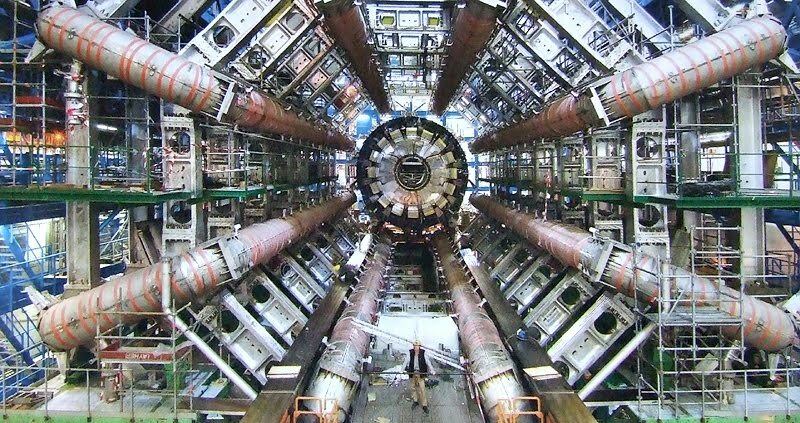 The Large hadron Collider ran last night, and were's still here, I think? Those crazy scientests in Geneva spun up and smashed a couple of protons last night at about a 1/3 of their potiential energy 450 GeV. The world didn't end, we weren't all sucked into a Mini worm-hole, and mysterious forces from the future didn't prevent us from doing it. Like I said, there isn't reason to celebrate yet. They plan on taking each beam to max or 1200 GeV by the end of the week. So enjoy Thanksgiving, it may be our last.